This month’s open thread for climate science issues. “We found that for the weather station in the far north, in the Arctic Circle, the current heatwave is just extraordinary – unprecedented in the historical record,” said Geert Jan van Oldenborgh, at the Royal Netherlands Meteorological Institute and also part of WWA [World Weather Attribution consortium]. “Which beats the previous record hot month… set by Death Valley, last year. Silly person. The only reason it’s so warm in Death Valley is because of all the urbanization and paving there. I was trying to find out where CO2e currently stands at and I was unable. It would be nice if there was a scientific backed posting in ppm at least twice a year. An interesting article at Climate Central. Heat waves are lasting longer. Supportive of the idea that jet streams are becoming less reliable. I’ve been doing more air travel in recent years, and feeling guilty about the resultant CO2 stress. But after a bit of research I feel somewhat better. The figures are not that bad, if in context with an overall CO2-modest lifestyle. A single long-haul domestic flight might release ~1.5 tons — which could fit within a reasonable definition of good global citizenship if your total otherwise is under 5 tons. For perspective, the average American belches 20 tons of CO2 per year. Someone ring up Kevin Anderson and tell him that he might want to consider an occasional flight, which won’t break his personal CO2 bank provided his lifestyle is sufficiently modest otherwise. On the other hand, I do appreciate him setting a prominent personal example of forbearance. Would that Gore and DeCaprio do the same. PLoS One. 2017; 12(6): e0179705. Killian @289 (last months UV). I think you need to appreciate that the melting of arctic ice and glacier ice in the early part of last century was only partly caused by CO2 concentrations of 310ppm. It was caused ‘mainly’ by a warming phase of the solar cycle, and a suspected extended reduction in volcanic activity in the early decades. This issue is easily enough googled. But yes, we do need to get concentrations of CO2 down to well under current levels. And yes the comment from some so called expert in the you tube video that we are will have increased CO2 levels for 1000 years is indeed excessively pessimistic, because we do have ways to extract this carbon with use of soil and forestry sinks, or direct air capture. Finding the will is going to be the difficult part, but then with a few more global (or northern hemisphere heatwaves) the will may be found through dire necessity. Maybe we’re turning the oceans into infrared radiators? Strong westerlies seem to bring up deep, carbon-rich waters strongly affecting atmospheric carbon. This is very bad news. Here’s to very weak westerlies. There is already more CO2 on Mars than on Earth. We can’t terraform Mars with Earth’s CO2, believe it or not. I can refute all that in one website. Death Valley, record for the entire world, 134.1 deg F set in 1913, when CO2 was over 100 ppm lower than today; that record still stands as the highest air temperature on earth! That’s hot! Yes, I know, it’s just weather, not climate, same as the stuff that we witness every summer including this summer. The geo political and humanitarian implications seem staggering. Temperature is a lagging indicator of global warming. Global Avg Mean Anomalies even more so. Better to look to CO2 & CO2e concentrations along with trend growth. Even better to know what CO2 & CO2e emissions actually are. Unfortunately Climate Science doesn’t know for sure, cannot keep up with the changes, and is another lagging indicator of global warming – in particular regarding Consequences, Impacts and Climate Feedbacks now and into the near future. For example papers like this one below are coming out weekly – who is capable of keeping up with this output and keeping an eye on present temps and global trend changes at the same time – the IPCC is certainly not up to the task required. Emissions of CO2 and methane from wetlands and thawing permafrost as the climate warms could cut the “carbon budget” for the Paris Agreement temperature limits by around five years, a new study says. These natural processes are “positive feedbacks” – so called because they release more greenhouse gases as global temperatures rise, thus reinforcing the warming. They have previously not been represented in carbon budget estimates as they are not included in most climate models, the researchers say. The findings suggest that human-caused emissions will need to be cut by an additional 20% in order to meet the Paris Agreement’s 1.5C or 2C limits, the researchers estimate. Anyone know why the Petit Climate Graphs haven’t been updated since June 1?? While individual weather stations can always be found that have record temperatures, that is not always an indicator of the greater region. The Arctic July was not particularly hot, at least according to the DMI or UAH data. hi randomjack: You said: I was trying to find out where CO2e currently stands at and I was unable. Yes the heat waves have been lasting longer, but the maximum temperatures have been lower. That is true in both cities graphed in the article. In Miami, while the length of the heat waves increased since 1970, eight of the hottest days occurred in the first half of the data set, with only two years (1998 and 2009) recording a temperature in the top 10. Similarly, while the average summer temperature in Williamsport has increased, the highest temperatures have not. The city has set four new daily high temperatures since the turn of the century, the last occurring in 2011. Conversely, 12 records from the 1910s still stand, 14 from the 1920s, and 21 from the 1930s. In total, out of 92 summer days, 15 new daily high temperatures have been set since 1960, compared to 77 in the previous years. Other cities are mentioned, such as Houston, which is somewhat of an anomaly, with record high summer temperatures bunched in the years 1909, 1980, and 2011. I found this essay online which seemingly makes good arguments against the reliability of the IPCC…yet, there are things in the PDFs referenced that make me doubt whether or not these arguments are truly logically sound. If any of the scientists on this panel have observed these sources, could you comment on this? I find it very important that scientists who support the IPCC give counterpoints to defend such. Could someone take a look at this essay and see whether or not the arguments presented against the IPCC are indeed legitimate? The heatwave in Europe, especially in Portugal and Spain, is getting ugly, Portugal had 47°C (116.6 F) today and temperature are forceast to rise over the coming weekend. some of you have information about CO2 emissions from hydrothermal ocean source ? compare with anthropogenic and volcanoes ? is the hydrothermal source is important ? Have you accurate evaluation ? That zonal data for UAH TLT has now been posted. It shows a pretty warm N ExTrop Land anomaly for July of +0.72ºC but this is not a July record (its that 1998 year again pipping it to top slot) and it isn’t as warm an anomaly as some of the recent monthly N ExTrop Land anomalies. Mind, the surface records may show something different for July as they do show a wobble profile with wobbles not always matching the TLT records. #14–Except, KIA, your evidence didn’t actually refute anything said in comments 1-4. You just said some *other* stuff that was sort of tangentially relevant. The Hunziker essay simply dips into the Bendell message but with some additions, eg not specifying the subject of the Anderson (2015) quote (which is concerned with the full severity of the carbon budgets in the IPCC AR5 Synthesis Report) and thus leaving open a very wide door for conspiracy nutters to walk through. I’m just a layperson, but nevertheless wrote a fairly detailed critique of the article. Unfortunately, my browser just ate it, returning to an earlier page, seemingly irretrievably. And I’m not going to try to rewrite the whole darn thing. But, to summarize, I found the article full of statements that were misleading, unsupported, or insufficiently described/attributed to evaluate. RCP 8.5 projects methane levels of over 3500 ppb by the end of the century, double today’s levels, which certainly ought to be alarming enough for anyone (Figure 11-21). In other words, the exclusion of some possible changes wasn’t negligent, but on the contrary a deliberate choice based on assessment of the quality and scope of evidence then available. The bottom line is that the NPol July anomaly of 0.29 C is pretty paltry in the context of the year to date. While March rocked a *negative* anomaly of -0.33 C, January, February, and April all came in with anomalies above 1 degree C. More recently, June managed 0.83. So, by this measure at least, it does not appear that the heat wave we’ve been talking about ‘bled into’ the Arctic much in July. #33 Kevin McKinney – Did you use the web page input form for editing a lengthy text to post? Never do that. Only use the input form as an editor for very short texts. For long texts use some other editor (e. g. Notepad is good enough) and save your work-in-progress on a file several times before you’re finished. When you are finished copy and paste the whole lot into the input form. Otherwise you will find that the browser annoyingly often eats your work. Here is a Global Warming Contour Map, which shows the warming rate for the Stratosphere, since 1960. Notice the “slowdown”, which started about 1995. The Stratosphere, Upper Troposphere, and Lower Troposphere, each have very different warming rates. Check out the Robot-Train Contour Maps, to see how contour maps work. Also, see the Legend for Global Warming Contour Maps. Any views on this paper by Mann et al on using a Bayesian rather than a frequent ist approach in climate attribution of extreme weather events? Dan B (sounds remarkably like Dan H) claim’s recent heatwaves and their relation to climate change are not an issue of concern because some city set a ‘record temperature’ back in the 1930’s. But those temperature records set early last century are unlikely to last too much longer. He is also not willing to admit that heatwaves are already increasing in frequency and duration, according to the IPCC. He can’t seem to see that these are problems, which just amazes me. I’m a layperson, but I came across this some time ago. Climate change is expected to cause the stratosphere to cool, but since 1995 this has stalled or at least slowed down. There’s a reason for this and it doesn’t mean the models and theory are wrong. Its related to the influence of the ozone issue as below, and it will be temporary. Re #8 nigelj said Killian @289 (last months UV). I think you need to appreciate that the melting of arctic ice and glacier ice in the early part of last century was only partly caused by CO2 concentrations of 310ppm. It was caused ‘mainly’ by a warming phase of the solar cycle, and a suspected extended reduction in volcanic activity in the early decades. Thank you. Now let me remind you that a lack of volcanic activity is 1. largely random and that 2. volcanic activity *masks* the greenhouse effect? If you understand this, you should realize that, less the volcanics, what you got was, for lack of a better term, real or full climate change. This issue is easily enough googled. As is the fact that temps would rise 0.7 to 1.4C within years if we magically stopped industrialization today. Not over;y pessimistic, accurate. What is inaccurate is the claim that it is permanent. Just to clarify. If we do nothing, that WILL happen. The important context is, what was CO2e in 1850? I, too, thought it an important paper, but it isn’t. The writer turns out to be a bit of a McPherson acolyte and has nothing useful or original to say. E.g., anyone can say, gee, things are really bad. I state ad naseum here that risk is the best context for climate action because we could see multi-degree C changes in less than a decade. Beyond that, the author rips off well-established disciplines like permaculture to offer a supposed framework for what amounts to widespread survivalism. That he is an academic is the only redeeming value of the paper. Maybe other academics will take note of the non-academic discussion, fears, etc. Whenever we see record breaking cold and/or record breaking snowfall we’re reminded that weather is not the same as climate. But after a year or two of unusual heat waves and forest fires that distinction is conveniently forgotten. No need to panic folks. Extreme weather has been, and always will be, with us. Not exactly the most reassuring news, granted, but it’s nice to know that destroying civilization as we know it won’t matter much. You write of “+5°C by 2050” which would require, what, a seven-fold increase in the average rate if AGW over the coming three decades? That is some leap!! The Independent article you cite says “Oil giants Shell and BP are planning for global temperatures to rise as much as 5°C by the middle of the century” which is just a little less extreme but still requiring an eye-watering increase in the rate of AGW. The Independent article in turn refers to a ShareAction report which says “Analysis of the firm’s strategic priorities and capital allocation decisions show that Shell’s current business model and base case for planning is consistent with 3–5°C+ of global warming, an outcome which is unacceptable and highly risky for many of Shell’s investors.” The report further says “Shell’s core planning scenarios, Mountains and Oceans, remain aligned with 3 – 5°C+ warming.” While this is not explained further by the ShareAction report (there are a couple of linked references in the ShareAction report but the interesting one is defunct), I think it is enough to conclude that the derivation of the “3–5°C+ of global warming” is likely looking at how much oil Shell is expecting the oil industry will have shifted, perhaps by mid-century. So the forcing to achieve “3–5°C+ of global warming” may be in place within Shell’s 2017 planning, but I don’t think the “3–5°C+ of global warming” is seen as arriving anything like as quickly as 2050. BPL #11. Thanks for your comment. Right, Mars’thin atmosphere is already comprised of carbon dioxide. But the issue is quantity. Elon Musk says there’s enough to terraform the planet. NASA says No. So my thought was that with additionalcarbon perhaps the temps could be brought up. Maybe a motive for a billionaire and for the rest of us to get serious about removing the carbon from our skies. I suspect with enough financial motive Big Dirty Energy would be interested as well. Pelletize our extra then dissolve it in another atmosphere perhaps. Of course that’s much, much easier said then done. It’s just a thought for a creative guy with money to blow. But all of the other roadblocks make the prospect of any kind of normal human life on Mars anytime soon impossible. For starters, we don’t breathe C02. And there are a mountain of other issues as well. To me, it just underlines our desperate need to protect this planet. Killian asks what was CO2e in 1850? CO2e adds the effects of methane, N20, chlorofluorocarbons and minor gases to the forcing. Not much in 1850. 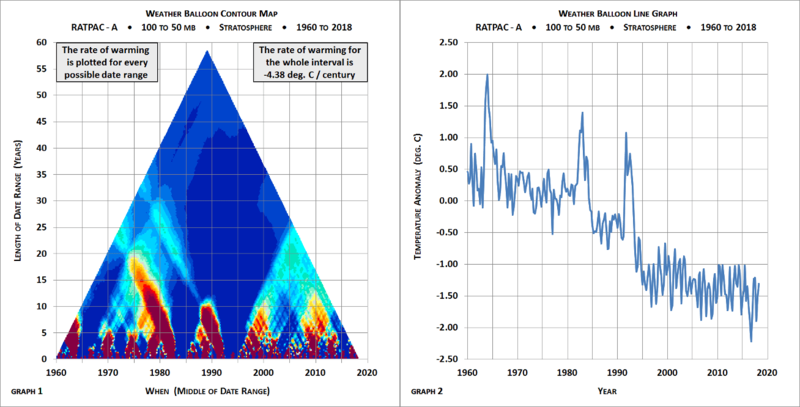 These estimates are based on computer simulations, so there will be some uncertainty, but taken at face value, if we stopped emitting CO2 now, and in 1000 years, the CO2 concentration will still be elevated relative to pre-industrial levels, I can’t see a flaw in the logic which concludes that the impacts of anthropogenic emissions will be felt for another millenium. That is assuming emissions stopped today, which is not going to happen. The video then concentrates more on carbon capture, specifically a resently published method estimated to cost between $94 and $232 to remove one ton of CO2. He takes the lowest of the two costs, looks at the 2017 emissions of 32.5Gt, and a bit of maths shows that it would cost around US$ 3 trillion every year, just to offset the emissions (assuming they stay constant), never mind a net removal of CO2. As it stands his assessment seems reasonable that no-one is going to be paying that any time soon, but, it could be true that there will emerge much cheaper ways of doing the job. No chance it is feasible wait for dire necessity. By the time the impacts of climate change become undeniable to enough people for a proper global effort to be initiated, it will be too late, like telling someone to stop smoking when they are terminally ill with lung cancer. If we have to wait for dire necessity, it will be about adaptation and building resiliance, not reversing emissions. I am interested in looking at the soil and forestry methods of removing enough CO2, I’ll try and look it up. Yes, the vast majority of climate scientists have been unwitting dupes for the forces of evil. To lowball one’s conclusions is a horrid and direct violation of the absolute core of scientific ethics. Combine that with the reduction of unknowns to zero (the most infamous is scientsts’ choice that ice melt is not well constrained so “we’ll just assume that NO ice will melt when delivering our sea level rise predictions. But put a teensy weensy caveat in the footnotes, where nobody will notice, that our prediction is 100% guaranteed to be garbage to the ” benefit” of deniers. Uh, the deliberate exclusion of feedbacks IS negligent. The ONLY two non-negligent paths are either to include them with error bars and confidence levels or to state that you don’t have an estimate at all. The reason is because the scientists were speaking to non-scientists and only a moron would think that the deniers they were talking to would translate “zero” into “probable gobsmacking catastrophe”. Thanks for the analysis. However, the second part refutes the first. If the budget is blown by societal emissions alone then there is no way that a flight can fit in the budget. I’ve got to admit that I was surprised at your Nobel Prize. I figured you to be a shoe-in for the Nubile Prize. Anyway, yes, carbon feedbacks are like sea level rise. They are stubs. There’s nothing wrong with stubs if and only if you don’t blurt out an estimated total that excludes some sort of educated guesstimate of the stub. Doing so is negligence that enabled, and is still enabling the destruction of the biosphere. Seriously, teensy weensie orbital fluctuations resulted in HUGE feedbacks. Why on Earth would anybody think that the stubs representing feedbacks should be zeroed out when communicating the danger to the friggin biosphere? As if an asterisk is good enough! Ray Ladbury did an analysis on Antarctic volcanoes that utilized total planetary volcanoes to show that the issue is negligible. I’m sure the same applies to your query. Geological emissions of heat are like the Republican meme that global warming is caused by body heat. Republicans have no sense of orders of magnitude. I’m confused. Just where does your stance diverge from his?